I was kind of relaxed when I was clicking the pictures for this post and I calculated even that it is going to take very little time to conceptualize it but here I am; totally confused! Not that I am going to write about anything fancy or complicated instead it is something quintessentially Bengali; nothing but Mangsher Ghughni! Starting from Alu Kabli to Phuchka, the love for the chaat by the Bengalis is indeed a great topic to discuss for and the list of our favorite Chaat is not complete without mentioning Ghugni; the thick curried Yellow Peas or Motor, along with a topping of green chilis, cilantro and chopped onion along with the tanginess of lemon juice! We all probably have our favorite vendor who makes the best Ghughni! When Ghughni has mutton; it turned into Mangsher Ghughni! However, Ghughni is actually a versatile dish with several variations to consider for. 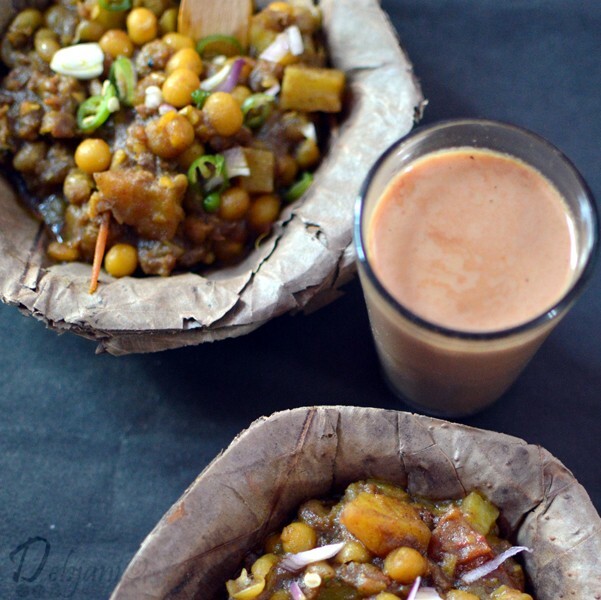 In one hand it is an epitome of street food when prepared with the punch of onion and topped with the veggies while on the other hand, Ghugni is really an amazing dish served as part of traditional Bengali vegetarian cuisine when no onion or garlic added while cooking and served with little “Bhaja Moshla” to enhance the aroma. As I already mentioned this post has nothing to do with the other versions I have mentioned but the meat-e-fied version of Ghughni, Mangsher Ghughni. 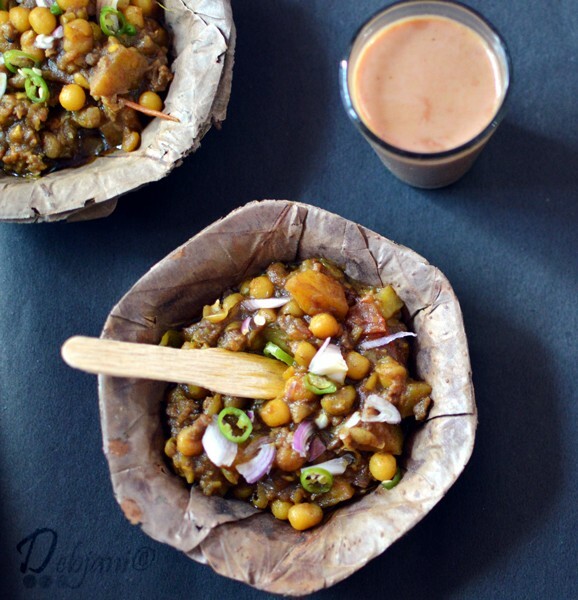 A famous Bengali dish prepared with Yellow Peas and minced meat (preferably mutton) Mangsher Ghughni is obviously something to cherish for. 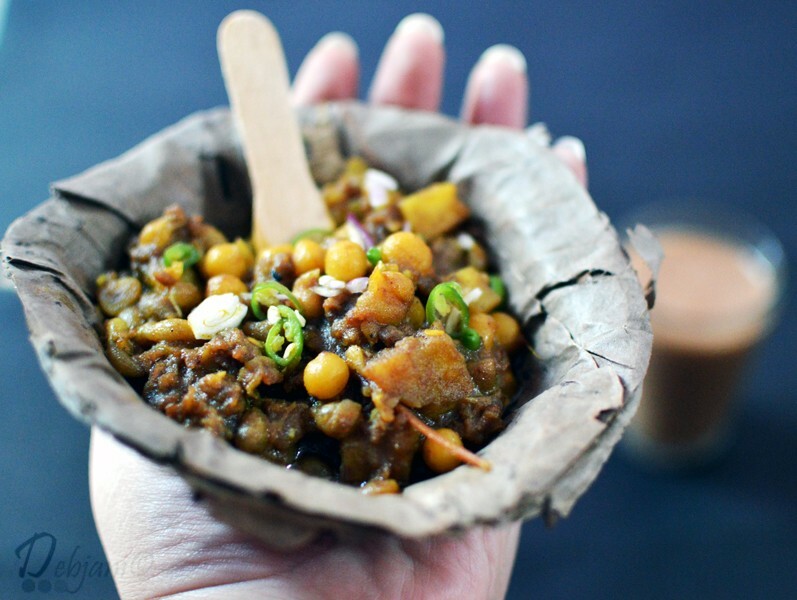 I though have it several times with big meat chunks but my favorite is obviously the one with Mutton Keema for sure! Indeed a family favorite and I prefer to follow the recipe by my mother while making my version of Mangsher Ghughni. In my North Calcutta residence, Ghughni is something that everybody cherished and whenever there was the addition of the meat in it, the Ghughni used to turned into beyond good! We never used to have Niramish Ghughni after Bijaya Dashami which is kind of a Bong heritage instead our Dashami used to celebrate with the addition of mutton Keema in the Ghughni; to make it tastier; richer and more special. Mangsher Ghughni and hot tea! that more than perfect combo! When for the first time I had Ghughni at my in law’s place I realized my mother in law followed almost the similar recipe as my mother; in fact in both the places they stick to using limited spices to make the Ghughni and the best part of this homemade Ghughni is the amazing smell coming out of it. Basically, I have nothing special to write about it apart from the fact that this typical traditional bong style dish is special with its own goods and naturally requires no extra description. I grew up witnessing my mother and aunts preparing Mangsher Ghughni for the entire family by adding a comparatively lesser amount of Keema to make it pocket-friendly which was, in fact, practical, given preparing something for a family of 18 people requires lots of calculation and managerial knowledge. I never ever seen them compromising the taste of a dish or to compromise with the health quotient but they used to manage the limited resources to feed the family properly. So naturally whenever there was a demand for a mutton meal but resources were limited we used to have it in form of Keema and Mangsher Ghughni or Mutton Keema Ghughni is one such item. However, The Bijaya Dashami special Mangsher Ghughni was always special with some extra amount of Mutton Keema and that amazing cooking where the yellow peas were perfectly cooked but not mashed, a proper amount of spices and with the light crunch of mutton Keema it was always a heavenly affair. 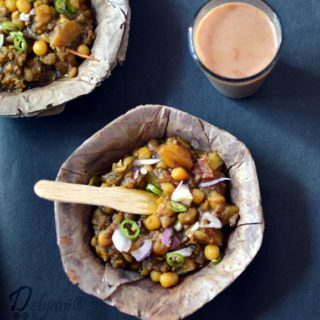 I have seen my mum in law, making Ghughni with same ease; probably all bong mothers can make perfect Ghughni with perfect use of spices, with having the Yellow peas boiled till the perfect point; where there are few whole peas are there and few mashed to get the perfect texture and then there is that homely aroma. 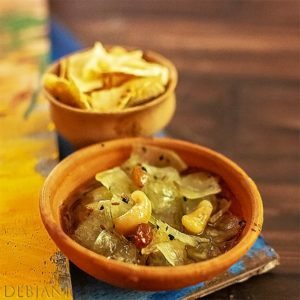 Ghughni no way is a signature dish as the recipe of Mangsher Ghughni is similar in almost every Bengali household but yes this dish is signature to the Bengalis’. As I already mentioned, this is a family favorite, so I make quite often at my place and do opt for the addition of extra Mutton Keema. In fact, I prefer 1:1 ratio of Yellow Peas and Minced Mutton to make the Mangsher Ghughni and I just follow the way it’s cooked in my family with limited spices and slow cooking to get the perfect texture and aroma! This is how you make Mangsher Ghughni! Wash Yellow Peas and soak the peas with salt overnight. Wash Mutton Keema or Minced Mutton under running water. Marinade it with little Cumin Powder, Red Chili Powder, Salt, Sugar and half Tsp. Mustard Oil for an hour. Pressure Cook soaked Yellow Peas with ½ Tsp. salt and ½ Tsp. Turmeric Powder and 4 cups of water in medium flame with the vent weight on. Switch the flame off after three whistles coming from the cooker and open the cooker when the pressure drops completely. Separate the water from the boiled peas and keep it aside for adding if required to adjust the consistency of Ghughni. In the meantime, slice two Onions, tomato, and two green chilies into long slices. Roughly chop one onion and 2 green chilies separately. Now heat Oil in a deep bottom pan and fry Potatoes until those turn brown in color and strain from oil after frying. Now temper remaining oil with dried Red Chili, Green Cardamom, and Bay leaf. Add sliced Onion and cook till onion turned light brown in color. Add Chopped tomatoes and cook till tomato soften and then add ginger and garlic paste and cook for 2 minutes in low flame until the mixture releases oil. Now add Salt, Sugar, Cumin Powder and Turmeric Powder and mix thoroughly. Add marinated Minced mutton and mix using a ladle. Cover the pan with a lid and cook for around 8-10 minutes in slow flame. Add a little water from the reserved water which was kept separated from the boiled peas if required. 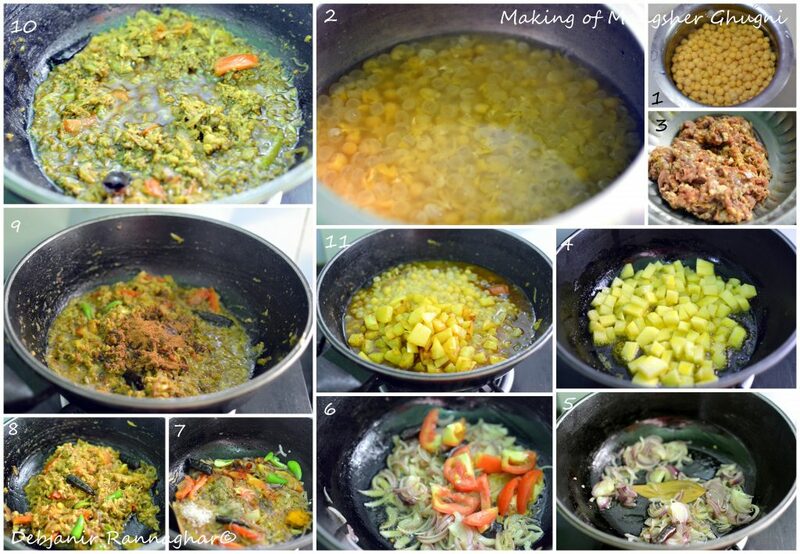 Once the mutton is 80 % cooked add boiled Peas and Fried Potatoes and mix using a ladle. Now cook for 5 more minutes after adding around 1 cup of the reserved water in medium flame. The Ghughni should have a semi-dry consistency with visible pieces of the peas along with some mashed portion. Now add Garam Masala Powder and give Ghughni a thorough mix and switch the flame off. Serve Mangsher Ghughni or Mutton Keema Ghughni hot after garnishing with chopped onion and green chili. « Kalash- Hotel Hindusthan International; my pick for Restaurant Week India in Kolkata!